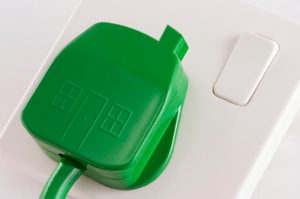 With the Big Energy Week now in full swing, Consumer Focus and Energy UK have called on consumers to improve their home insulation - a step that could reduce the cost of energy bills. Figures released by the Government have shown that around 9.6 million homes in the United Kingdom are without adequate loft insulation; meanwhile one in four don't have enough cavity wall insulation in place. In excess of a third of consumers remain unaware that their energy supplier could provide them with either free or discounted insulation - which, on average, could see Â£120 cut from their bill every year. Despite this, just 100,000 homes each month are taking advantage of these deals, even though twice this amount could be benefitting from the measures in place. Director at Energy UK - a key trade body set up for comment and analysis on issues affecting the UK gas and electricity industry - Christine McGourty, highlighted the help available to consumers. She said: "Energy companies offer a wide range of help and advice and we're urging people to get in touch with them and make sure they're not missing out. By taking advantage of the offers of free or subsidised insulation, you can help keep your house warm for less. "Big Energy week is a great opportunity to see what simple steps you can take that could make a big difference. We know household budgets are stretched, but the companies are working hard to provide customers with the help they need, so don't hesitate to ask." Each of the "big six" energy firms - British Gas, E.On, EDF Energy, Scottish Power, npower and SSE - have committed to offering customers more information on how they can go about getting their homes insulated. To find out more about cavity wall and loft insulation and other energy efficiency measures that might be available to you, contact your energy supplier.